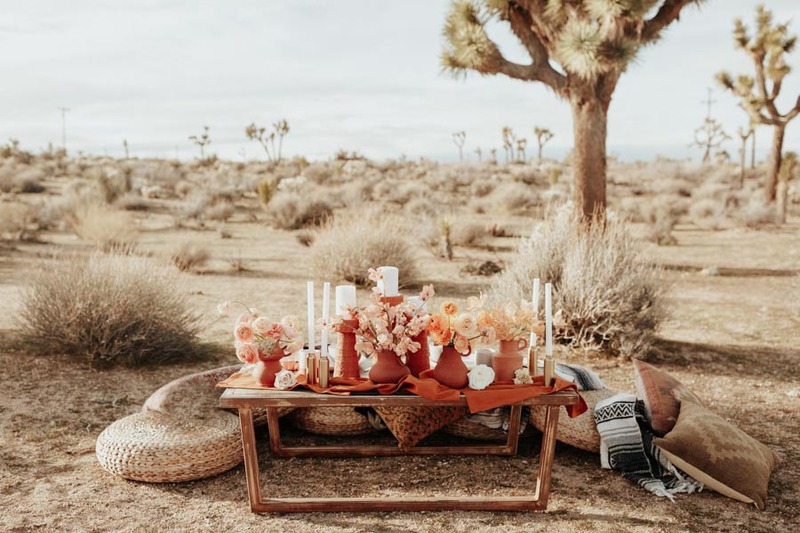 So excited to finally be sharing this shoot from our Joshua Tree, STYLEDYOU retreat!! From day one planning this desert, disco inspired shoot - I knew exactly what I wanted. We planned everything with the surrounding elements in mind. With shades of tan, blush, peach, orange, sand and most of all - terra cotta. This was a dream come true. I knew I wanted to use the actual house we were staying at as our ceremony backdrop. That deep terra-cotta colored fireplace? Oh my god. I told our amazing florists, Goodseed Floral, that I wanted an installation that looking like it was growing out of the house - very San Diego style - and check it out. They NAILED IT! I saw this dress in a split second on Rue Deseine's website and thought to myself "I've never seen a wedding dress like this. I must use it". I immediately reached out to every bridal shop I knew to try an obtain it. A three hour drive, one brother pick up, one more transfer and about 20 hands - we made it happen. Our model, Officially Quigley and her husband, Alex, were such troopers! Driving out from LA, standing in the sun all day and letting all 14 girls from our workshop move and mold them into perfectly styled photos - they crushed it. We love to push boundaries and come up with unique ideas and this shoot was everything we could ever want. From the dress to the hair to the bouquet to the menus - it was so special and different from anything I had ever planned or designed. 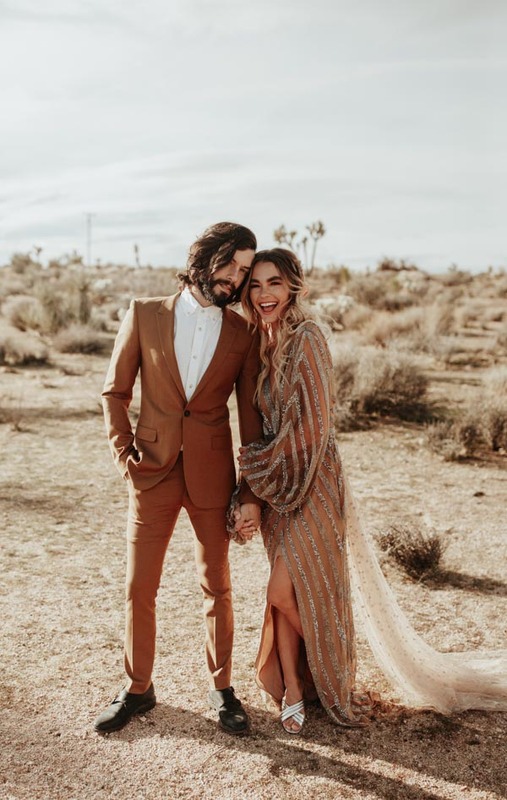 And now we are even more in love with the desert and want ALL the weddings there - so who's down?